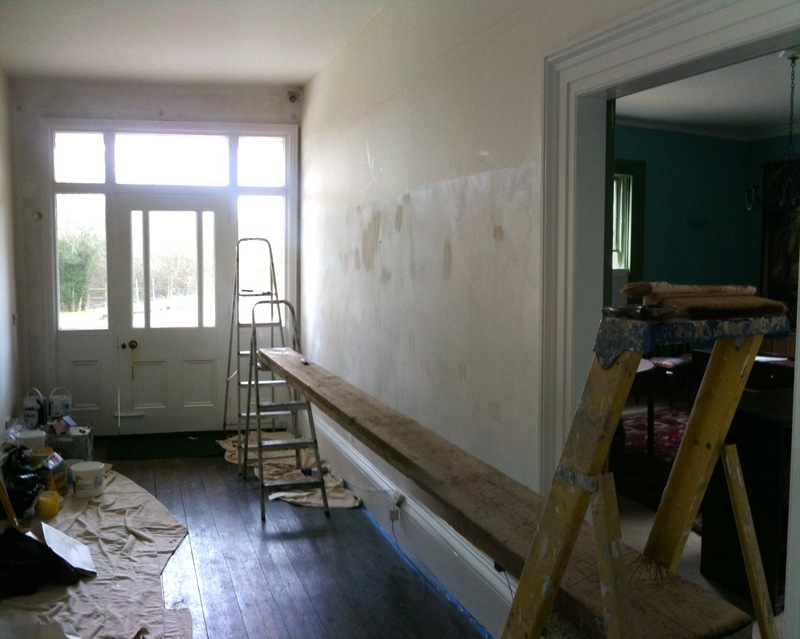 all wood work was stripped to bare wood as the original coating allowed the paint to chip very easily, the walls were stripped of wallpaper filled and sealed then cross lined using 1400 grade lining paper followed by a base coat then 3 coats of Dulux Vinyl Matt Emulsion. 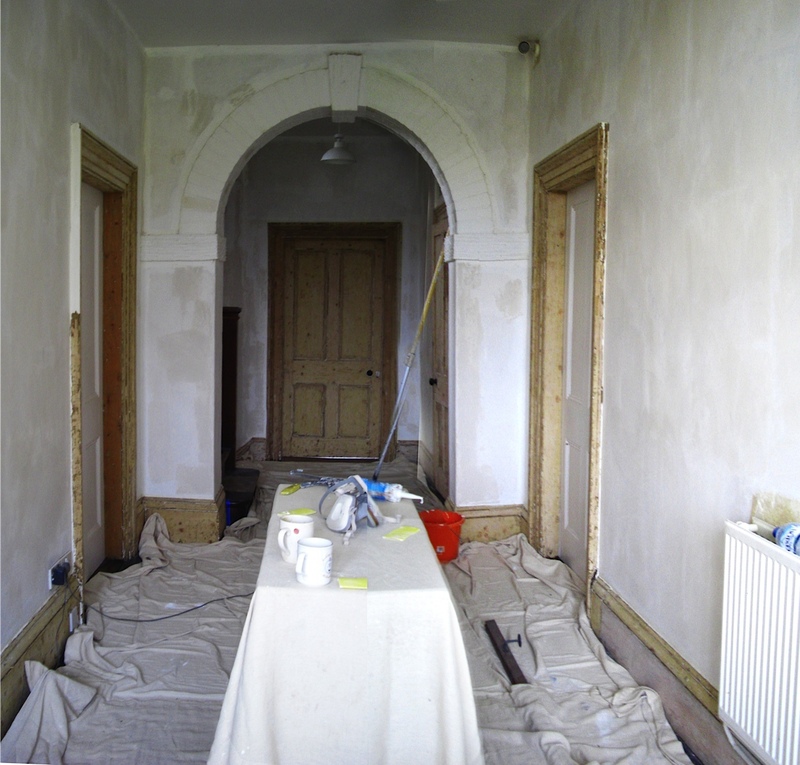 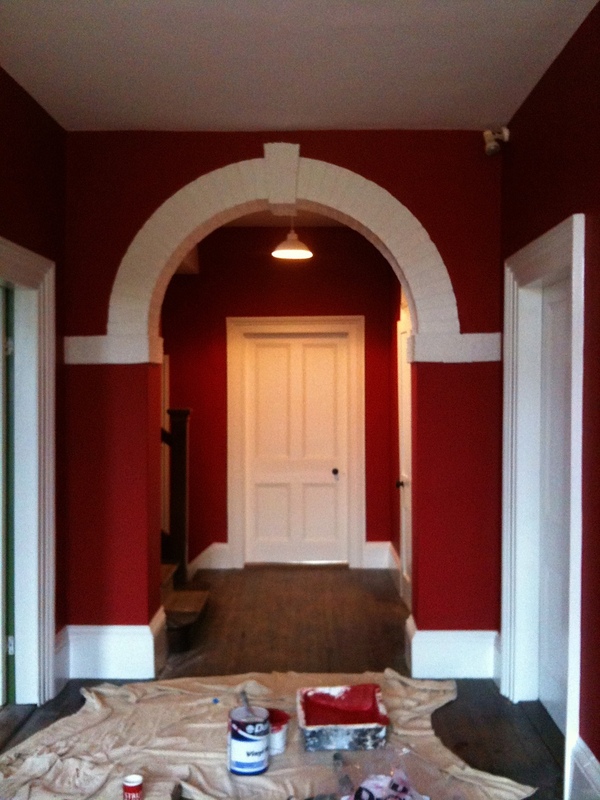 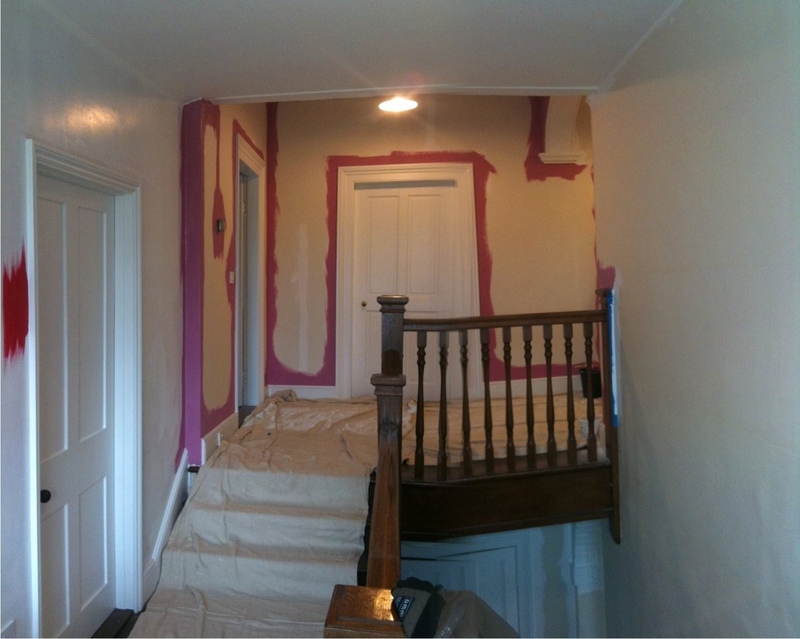 The wood work was primed, filled undercoated and finished in Dulux Eggshell Swedish White. 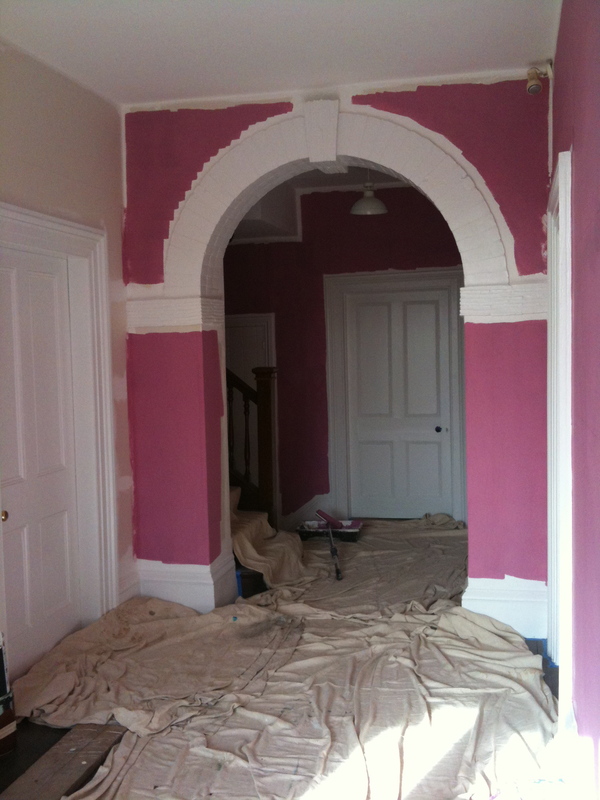 Walls, Ceilings Dulux Vinyl Matt. 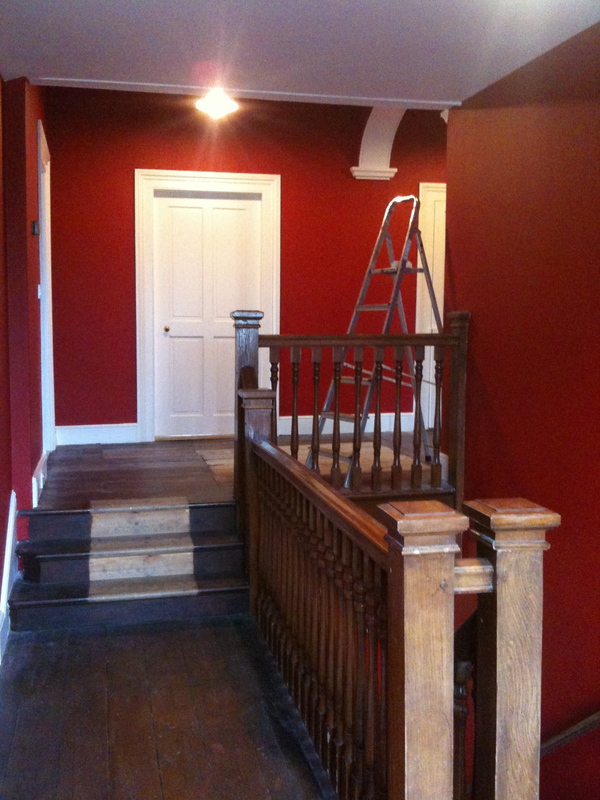 Woodwork Dulux Oil Based Eggshell Swedish White. 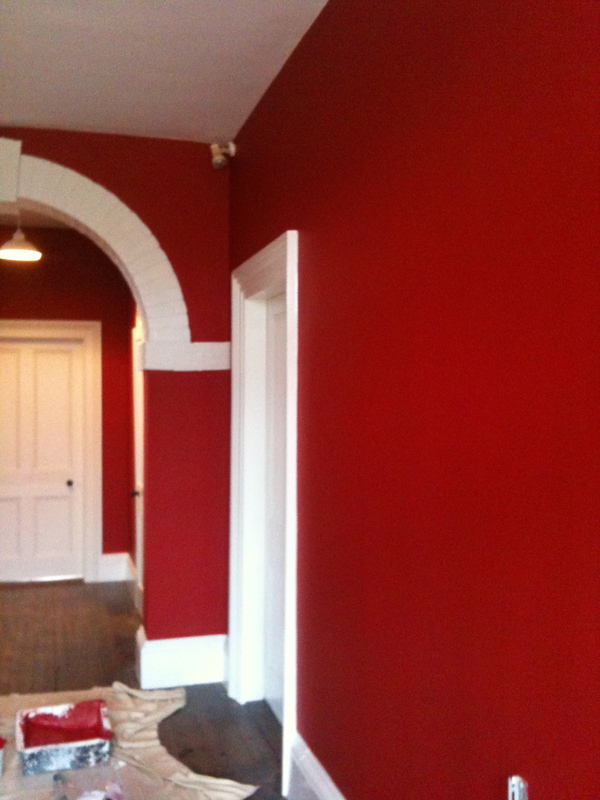 Walls Dulux 1200 Grade Lining Paper.